A legacy is not just something left by famous people or wealthy people. Everyone can make a positive mark on the world by supporting causes they believe in and by providing for loved ones after their death. Legacy planning can start early in your life and focus on building and protecting assets. It can also involve the creation of a comprehensive estate plan to ensure your family business, farm, money or property transfers seamlessly to those who you love. What should be involved in legacy planning? How can a Northern California legacy planning lawyer help you? If you want to leave a strong legacy behind, you need to have money and property to give to loved ones and to give to charity. This means you should begin building up a nest egg as soon as possible so you can grow your wealth and so you can acquire assets. When you are young, making strategic choices to save money and to invest wisely is very important to growing your wealth and creating a legacy. If you are starting a business, you also want to work with a legacy planning lawyer early in the process both to protect your personal assets and to make sure that you structure the company so you can hand it down through the generations. The sooner you begin legacy planning, the more you can take advantage of compound interest to build up your wealth and achieve your dreams. You can also make smart steps early on to protect your assets, to maximize the value of charitable contributions, and to ensure your property can one day transfer seamlessly to the next generation. Strategic investments: You may wish to look into investing in individual retirement accounts (IRAs) and other types of investment accounts which allow you to put aside money with pre-tax funds. You can also set goals for investing with the help of a legacy planning lawyer so you will know how much money to put aside. The use of trusts: Trusts can structure ownership so assets are protected. You can create trusts that ensure your assets are not lost if you need to go into a nursing home, and trusts that reduce estate taxes. Trusts can protect assets you leave to heirs in case the heirs divorce, go bankrupt, have problems with creditors, or are simply bad at managing money. Living trusts can also be a solution to incapacity planning, while a charitable remainder trust allows you to maximize the benefit of contributions to charity. A power of attorney: A power of attorney allows for someone to be named to manage your assets in the event of your incapacity. This helps to protect your assets by ensuring they are properly cared for. These are just some of the common components of a legacy plan. Your own plan should be personalized based on your assets, family situation, and goals for the future. It is a plan you should create and modify over the course of your life, with professional help from a legacy planning lawyer who can help to make your plans into a reality. Don’t leave your legacy up to chance or risk losing all that you have worked for during your lifetime. Get the help you need to grow your wealth, protect your assets, and provide for the people and causes that matter to you. 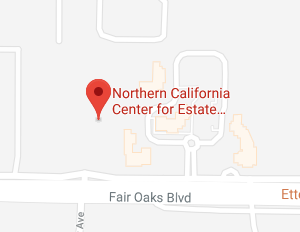 Northern California Center for Estate Planning & Elder Law is here to help clients throughout Sacramento, Roseville, Davis and surrounding areas to secure their legacies. Give us a call today at 916-437-3500 or contact us online to speak with a Northern California legacy planning lawyer to learn about the assistance we can offer.